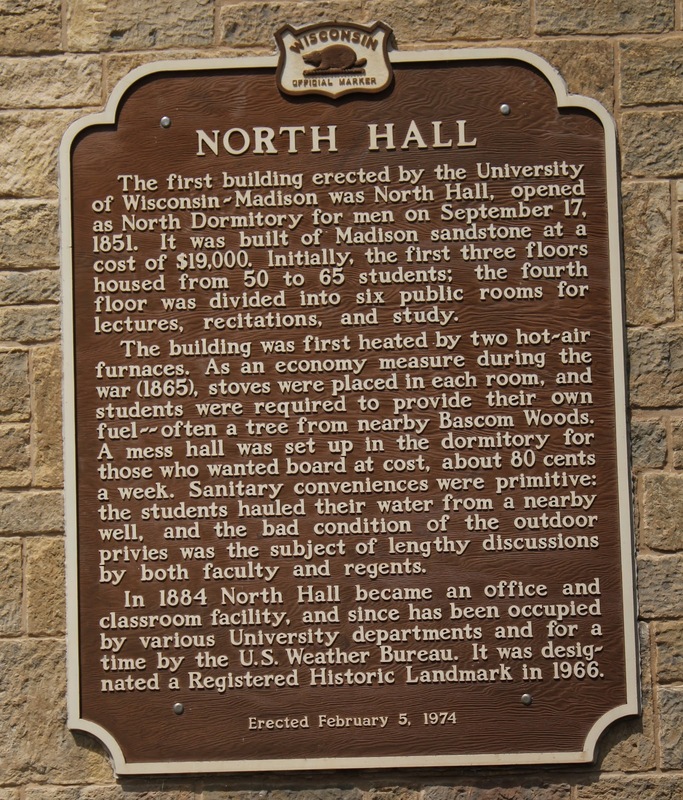 The first building erected by the University of Wisconsin-Madison was North Hall, opened as North Dormitory for men on September 17, 1851. It was built of Madison sandstone at a cost of $19,000. Initially, the first three floors housed from 50 to 65 students; the fourth floor was divided into six public rooms for lectures, recitations, and study. The building was first heated by two hot-air furnaces. 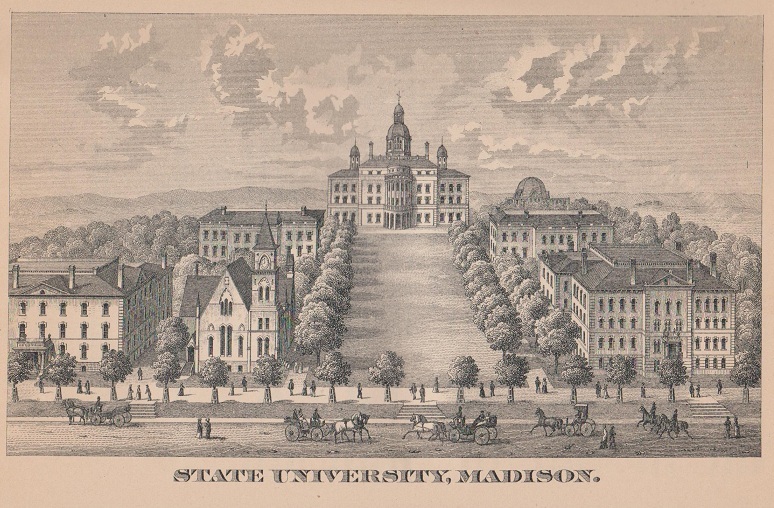 As an economy measure during the war (1865), stoves were placed in each room, and students were required to provide their own fuel – often a tree from nearby Bascom Woods. A mess hall was set up in the dormitory for those who wanted board at cost, about 80 cents a week. Sanitary conveniences were primitive: the students hauled their water from a nearby well, and the bad condition of the outdoor privies was the subject of lengthy discussions by both the faculty and regents. 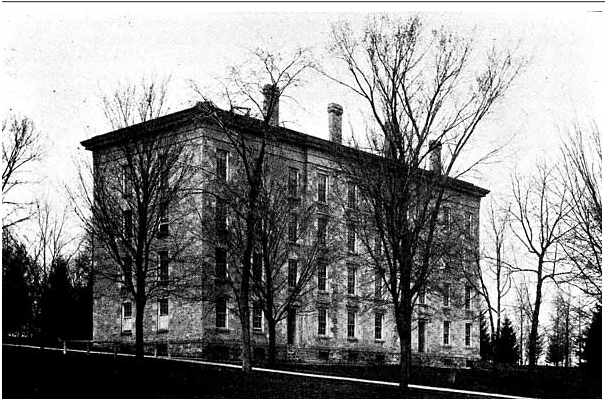 In 1884 North Hall became an office and classroom facility, and since has been occupied by various University departments and for a time by the U.S. Weather Bureau. It was designated a Registered Historic Landmark in 1966. 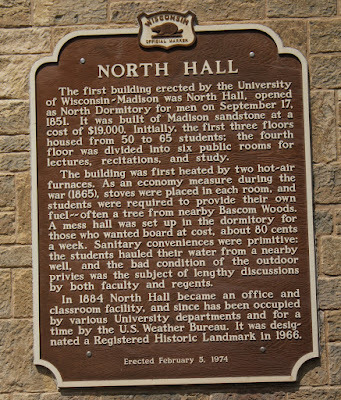 The marker is affixed to the south side of North Hall (now the Department of Political Science building), located at 1050 Bascom Mall, Madison 53705. NOTE: The marker is accessible from a public walkway on Bascom Hill. There is no parking at this location, and no access by car. You will need to park at one of the nearby parking areas and walk to the marker's location. Constructed in 1851, this is the first structure built on the campus of the State university which pioneered in extension work, particularly in agricultural programs, and in the involvement of scholars in legislative and regulatory affairs on a non-partisan basis. Known as the "Wisconsin Idea", the univerity's innovative cooperative program stemmed from the concept that an enlightened public would best ensure a progressive America. The first University building. Erected in 1851 as a dormitory, and now (1899) in use by the School of Pharmacy and the departments of German and Scandinavian languages. The property is a National Historic Landmark. 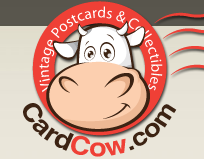 Click here for a list of all National Historic Landmarks in Wisconsin. 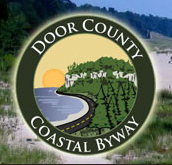 The property is also listed on the National Register of Historic Places: Wisconsin. The above image used with gracious permission of UW-Madison Archives (Identifier S05904). View of North Hall from the top of Bascom Hill. North Hall is a National Historic Landmark. from the 1885 edition of the Wisconsin Blue Book. North Hall is located on the UW Madison Campus.